Register now for 6 Ways to Make Your Fly-In Effective and Distinctive. What strategies make fly-in days most successful? What new approaches help advocates make the most of congressional meetings? Find out in this 90-minute webinar. Advocacy veteran David Rehr and advocacy-day expert Eric Storey provide ready-to-use guidance from when to start your planning to how to follow up. Leverage Fly-Ins to advance other programs for your organization. Remember, the secret isn’t making advocates louder; it’s making them more successful. Don’t miss this opportunity to learn fresh ways to raise the value of every fly in day. Dr. David Rehr is a Professor and Director of the Center for Business Civic Engagement (cbce.gmu.edu) at the Schar School of Policy and Government at George Mason University. 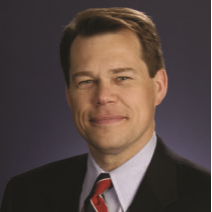 He is the former President and CEO of the National Association of Broadcasters (NAB) and former President of the National Beer Wholesalers Association (NBWA). Rehr is the author of The Congressional Communications Report, now it its 3rd edition, landmark research on communication methods and preferences of congressional offices, their staff and those working to influence them. He presents frequently on how to cut through the information and data clutter swirling on Capitol Hill to ensure your message is heard and action is taken. 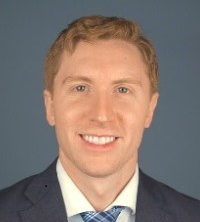 Eric Storey is the Director of Grassroots and Digital Advocacy for the American Bar Association, where he coordinates advocacy campaigns and digital engagement on behalf of the legal profession. Eric is also the Executive Vice President of the Grassroots Professional Network, a professional society that offers best practices and networking opportunities to over 23,000 members in the United States and Europe. A native of Austin, TX, Eric has over ten years of experience in public policy and grassroots advocacy, and has planned advocacy events for organizations including the American Academy of Family Physicians, Edelman, United Transportation, and more.